The photo-tagging features Facebook is known for have finally made their way to Instagram. 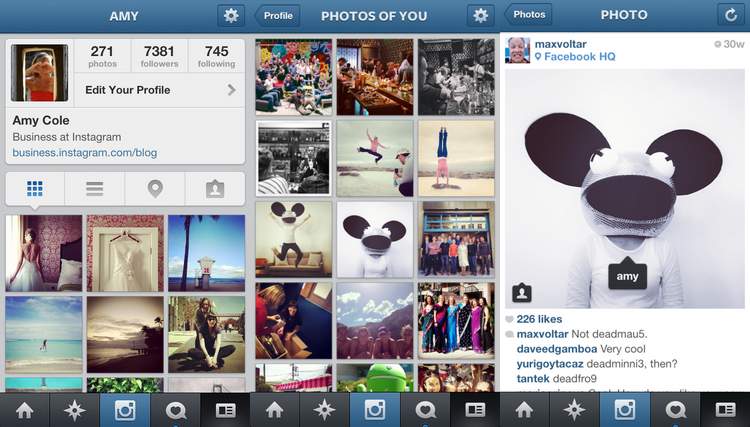 With Instagram’s new “Photos of You” feature, you can now tag other users in the photos you upload. You can tag your friends, celebrities, or even your favorite clothing brands in photos, as long as they have an Instagram account. Tags keep the things people share through social media sites organized. Twitter’s hashtags can tell you what the hottest topics of online discussion are. Facebook’s tagging features allows other people to tag you in photos, and can automatically post these photos on your timeline, or compile them into albums. Much like Facebook’s “Photos of Me” album, each Instagram profile will have its own Photos of You section, which compiles and showcases the photos each user is tagged in. You will receive a notification whenever another user tags you in a photo, and you can tweak your settings so you can decide which tagged photos you’d like to add to your Photos of You section. Instagram believes their new tagging features can provide brands a better way to communicate and interact with their customers. “Photos of You gives you a new way to curate and share the photos that best showcase your brand as documented by your biggest fans,” the company said in a recent blog post. Setting up an Instagram profile for your business allows your customers to tag photos of your products, store, or events, which can increase your brand’s exposure to Instagram’s 100 million monthly users. Brands can also tag other users on Instagram, which grants them additional exposure if the users decide to display the photo on their own profiles. To cite AdWeek’s example, a company can tag Beyonce in one of their photos, and she can choose to share it with her 3.6 million Instagram followers. More than providing better business exposure, our social media team believes “Photos of You” can help improve your brand’s reputation and online identity. Before Instagram introduced these new features, users could only “tag” other users through @ mentions in comments, or mention brands through hashtags. This made it more difficult for people to track who mentioned whom or what in which photo. “Photos of You” gives you greater control over which photos are linked to your business, helping you make sure that only user-uploaded photos that represent your brand best show up on your profile. “Photos of You” won’t go live until May 16, 2013, but Instagram users can preview the new features by downloading Instagram version 3.5 on iOS or Android devices. You can also choose to activate your Photos of You page before its official launch.